Whispers in the Loggia: Papa Ratzi's Hometown Heir? After a ten-month wait, Pope Benedict has reportedly chosen a new archbishop of Munich and Freising, the post he held from 1977-81. According to today's edition of the Bavarian paper Süddeutsche Zeitung, the name of Bishop Reinhard Marx of Trier was forwarded to the state government for its consent earlier this week. Under the provisions of the concordat between the Holy See and the Catholic-heavy southern land, the civil authority enjoys veto power over episcopal appointments. The paper reported that the Vatican is expected to announce the move on Friday. Marx, 54, would succeed Cardinal Frederich Wetter, whose retirement was accepted in early February. While the social scientist with a reputation for mixing it up in the public square is seen as cheerful, "larger-than-life" and a whiz with the media, he's also said to "know no pardon" when church discipline is violated. As Papa Ratzinger's first major appointee in his homeland and head of the 1.8 million-member Munich church, the appointment would catapult Marx into the hierarchy's top rank... and not just in Germany. 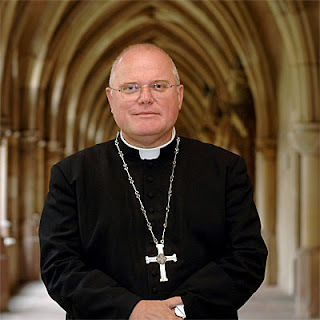 Ordained an auxiliary bishop of his native Paderborn on his 43rd birthday in 1996, Marx was named to Trier -- Germany's oldest diocese, founded before the 3rd century -- in 2001. Over the last three years, Marx has been given three new auxiliaries to assist him in the diocese of 1.5 million, two of whom are in their early 40s. In German church circles, the news is being greeted with "surprise." Benedict was expected to give Munich a nominee with closer personal ties to the papal apartment, and was especially seen as keen to name a Bavarian to lead the church in the nation's Catholic heartland. 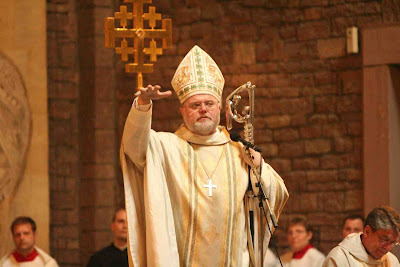 Previously cited as a potential successor to Cardinals Joachim Meisner of Cologne or Georg Sterzinsky in Berlin -- with the capital post buzzed due to the rising prelate's policy savvy -- Benedict's choice to send Marx instead to his hometown diocese would further burnish the latter's likelihood to eventually take the helm of the powerful German bishops' conference in succession to its longtime head, Cardinal Karl Lehmann of Mainz. Apostolic administrator since leaving the archbishop's office, Wetter turns 80 in February. Ergo, the appearance of the cigar-chomping "happy warrior" on his Munich predecessor's next list of new cardinals would seem a safe bet. SVILUPPO: In its brief, the German news agency DPA dubs the reported appointee "left-of-center," while a "moderate conservative" on matters doctrinal.